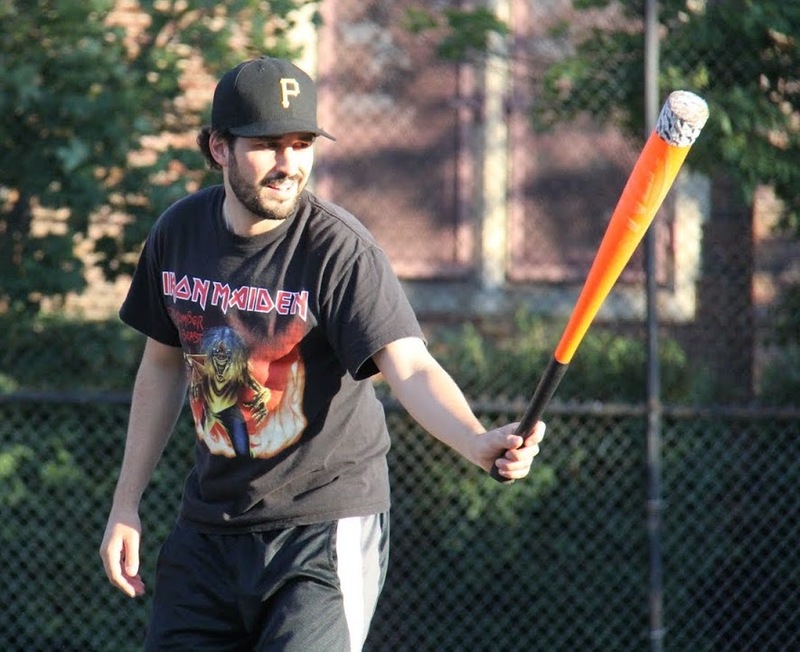 The Ham Slams needed Cookies & Cream to lose to pass them in the standings and earn the #3 seed in the playoffs, but Cookies took care of business in a big way, easily defeating Eastbound & Dahn 18-3. Cookies had lost seven straight coming into the game and had not won a single game since defeating Eastbound on June 9th. However, Cookies had a monster game on offense, as Joey and Dinger each went 7-for-9, Blose hit for the cycle, and Guthrie hit 3 bombs while pitching a complete game win. The two teams will now meet again in the first round of the playoffs, which begin next week. Nate took the mound for Eastbound & Dahn, and he got into trouble immediately in the top of the first. Joey led off the game with a solo homer, his fifth leadoff homer of the 2015 season, and Cookies went up 1-0. The next batter, Blose, crushed a solo shot to center, and the back-to-back homers gave Cookies a 2-0 lead. Nate retired Dinger, but Guthrie followed with a solo homer, making the score 3-0. Joey then singled, but Nate retired Blose to strand the runner and end the inning. Guthrie started for Cookies & Cream, and he was in much better form than week 9 when he was shelled by Questionable Outfit. He gave up a lead off single to Tim, but stranded the runner, retiring Nate and Christian to end the inning. Dinger led off the top of the second with a solo homer, and all four Cookies players had homered in the game. Joey hit a one-out double, but Nate stranded him, and Cookies led 4-0. Tim hit a one-out double in the bottom of the second, his second of the game, and he scored when Nate followed with an RBI double. Guthrie stranded Nate at second, and the score was 4-1 through two innings. For the second consecutive inning, Dinger led off the top of the third with a solo bomb, and his second homer of the game made the score 5-1. Guthrie then tripled, but Cookies couldn’t add to their lead, as Nate retired Joey and Blose to end the inning. Guthrie retired the side in order in the bottom of the third, and the score remained 5-1. Cookies & Cream were up four heading into the top of the fourth, and they blew the game open with a seven-run explosion. Dinger singled to start the inning, and Guthrie followed with a two-run homer to make the score 7-1. Joey then doubled, and Blose drove him in with a two-run blast, putting Cookies ahead 9-1. Dinger doubled, and Guthrie hit his second two-run home run of the inning, extending the lead to 11-1. Joey then doubled off the fence, but accidentally lifted his foot from second base while Nate possessed the ball on the mound, which became the first out of the inning. Blose followed the base running mistake with a triple, and he scored on a Dinger RBI double which made the score 12-1. Nate then finally retired Guthrie to end the inning, but Cookies had pulled ahead by eleven runs. Nate provided his own run support in the bottom of the fourth, hitting a solo homer to start the inning, which cut the score to 12-2. Christian followed with a double, and it looked as if Eastbound would rally. However, when the next batter Steve hit a double, base running errors led to Blose turning a double play, stranding two runners and ending the threat quickly. Up 12-2, Cookies poured salt in the wound in the top of the fifth. Joey led off the inning with a solo shot, his second of the game, making the score 13-2. Blose then doubled and moved to third on a Dinger single. Guthrie singled on a fielding error, and Joey came to the plate with the bases loaded. He crushed a deep fly ball to left, but the ball went just foul, narrowly missing a grand slam. He then grounded out to left, but two runs scored on the play and the score was 15-2. Blose then hit an RBI single to score Guthrie, putting Cookies ahead 16-2. Dinger singled to put runners on the corners, and Guthrie followed with a single, scoring Blose to make the score 17-2. Joey then hit Cookies fourth consecutive single, scoring Blose on the play to extend the Cookies & Cream lead to 18-2. Nate finally retired Blose to end the inning, stranding two runners. Tim led off the bottom of the fifth with a solo homer, which cut the score to 18-3. Christian later hit a one-out single, but Guthrie avoided further damage, stranding the runner to end the inning. Nate retired Dinger and Guthrie consecutively in the top of the sixth, the first scoreless inning by Cookies & Cream. Down fifteen runs, Eastbound couldn’t generate offense in the bottom of the sixth. Guthrie retired Tim and Nate to end the inning and the game, giving Cookies & Cream the win and the #3 seed in the playoffs. The win snapped Cookies & Cream’s seven-game losing streak and moved them to 8-12 on the season. The loss dropped Eastbound & Dahn to 10-10 on the year. 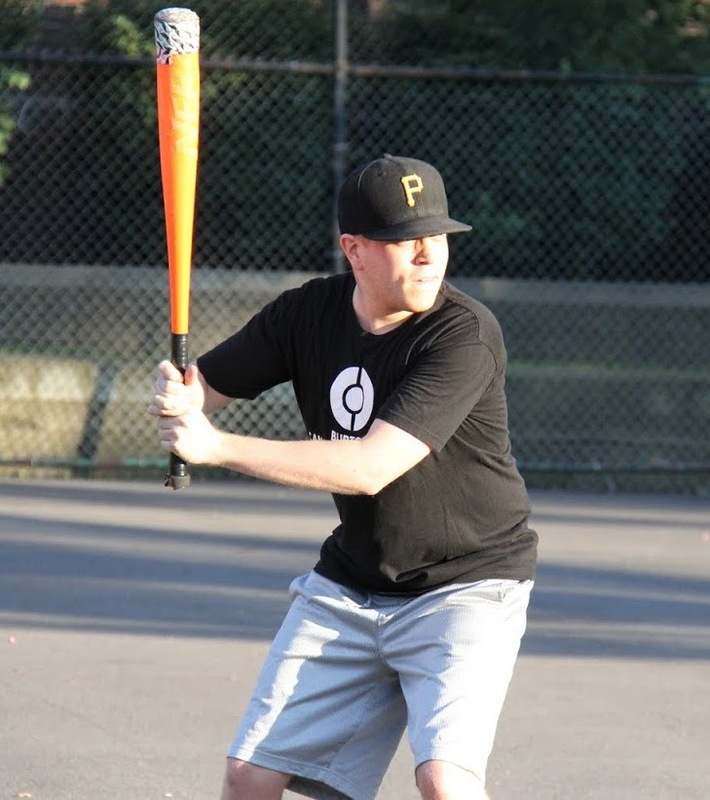 Eastbound & Dahn won the season series with Cookies & Cream 4-3, and the two teams will meet in the best-of-five first round series in the playoffs. – Guthrie pitched the complete game win for Cookies & Cream, giving up 3 runs on 8 hits in 6 innings pitched. 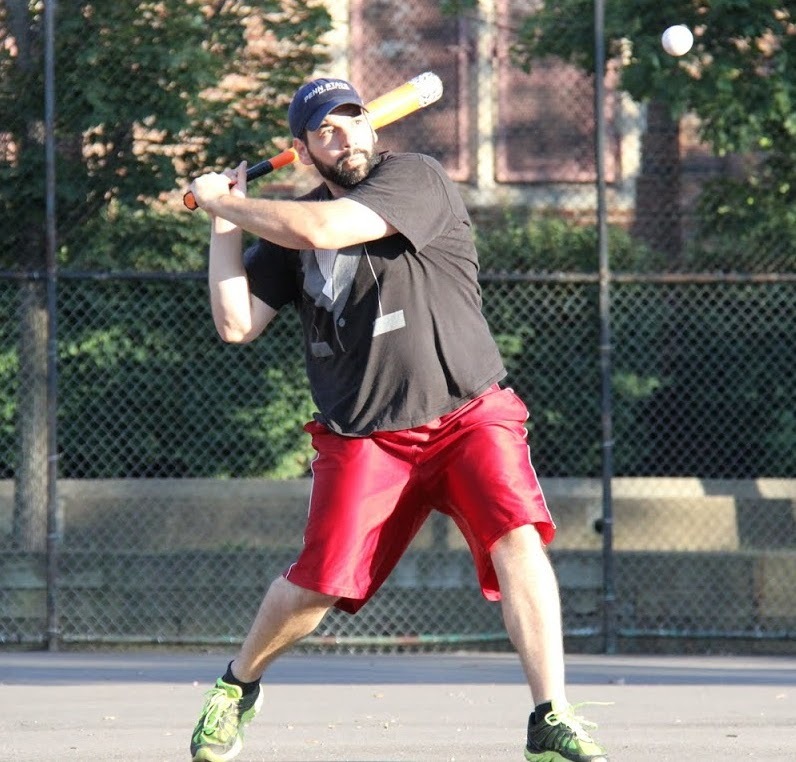 – Nate took the loss for Eastbound & Dahn, allowing 18 runs on 25 hits in 5 innings. The record for most earned runs in a single game is 19, which Nate fell a run short of. He also fell one hit short of the record for most hits allowed in a game (26) by giving up 25. – Dinger and Joey each went 7-for-9 to lead Cookies & Cream. Dinger had 3 singles, 2 doubles, 2 homers, 6 runs scored, and 3 RBI. Joey had 2 singles, 3 doubles, 2 homers, 3 runs scored, and 5 RBI. – Blose reached base safely to extend his EWL record hitting streak to 63 games, and he also hit for the cycle, going 5-for-9 with a single, a double, a triple, 2 home runs, 5 runs scored, and 4 RBI. – Guthrie also had 3 homers in the game. 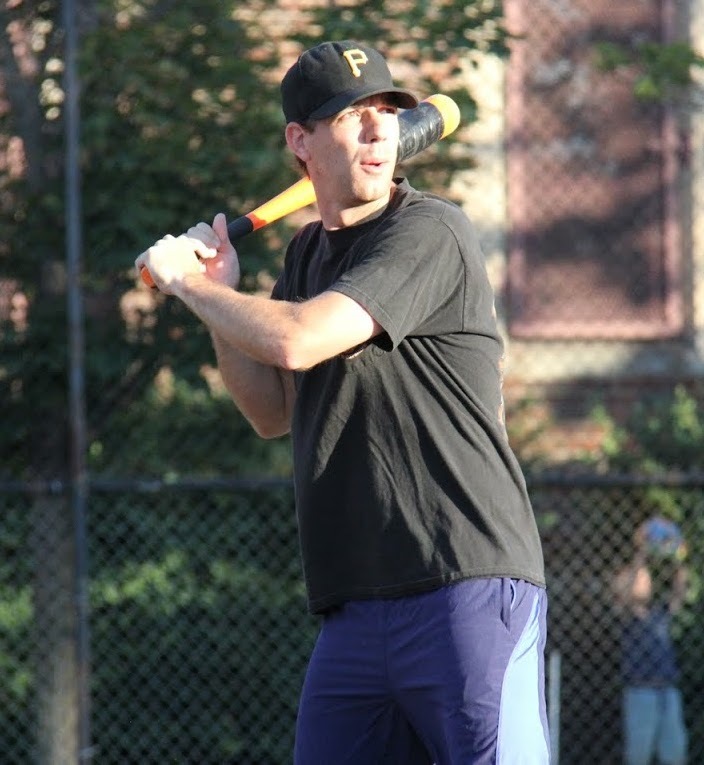 – Tim led Eastbound & Dahn at the plate, going 3-for-5 with 2 doubles, a home run, 2 runs scored, and an RBI.